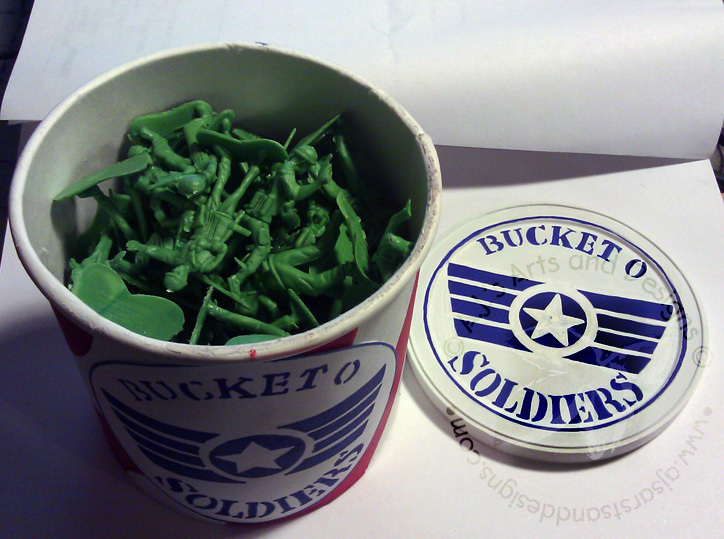 How To Make a Bucket O Soldiers | Who Are You Calling Crafty? The Booga is obsessed with Toy Story 1 and 2 (we don’t own 3) he quotes the movie. 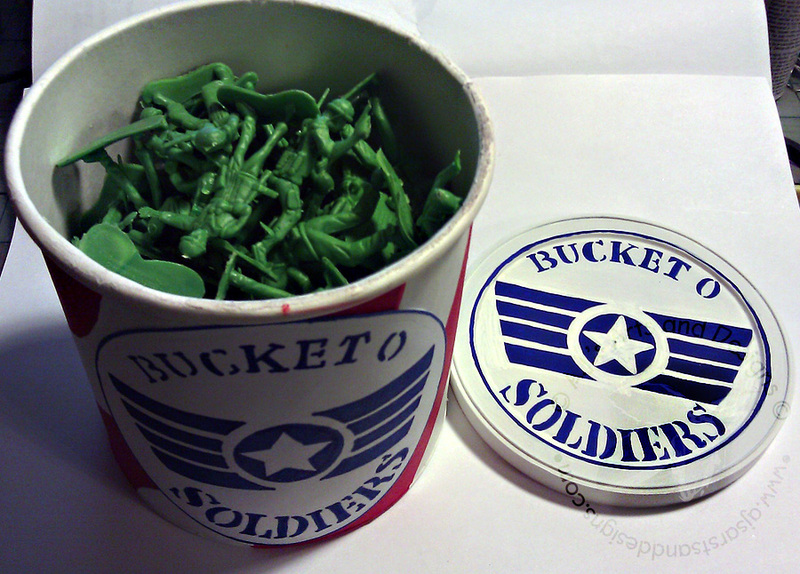 My daughter really wanted to get Booga a Bucket O Soldiers so I looked around and found it on Amazon – $35.00 for 72 plastic army men that will be stepped on – I think NOT! 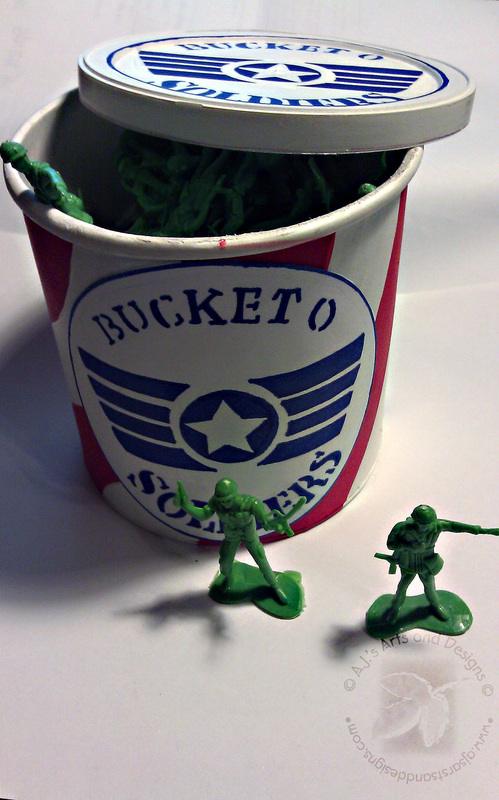 We went to the Dollar Store and found the Light Green Army Men a pack of 48 for $1.00 (more in my price range). My daughter mentioned it would be really cool if we had a bucket to put them in. I had been saving an Oatmeal Container just in case. I looked at that and thought PERFECT! 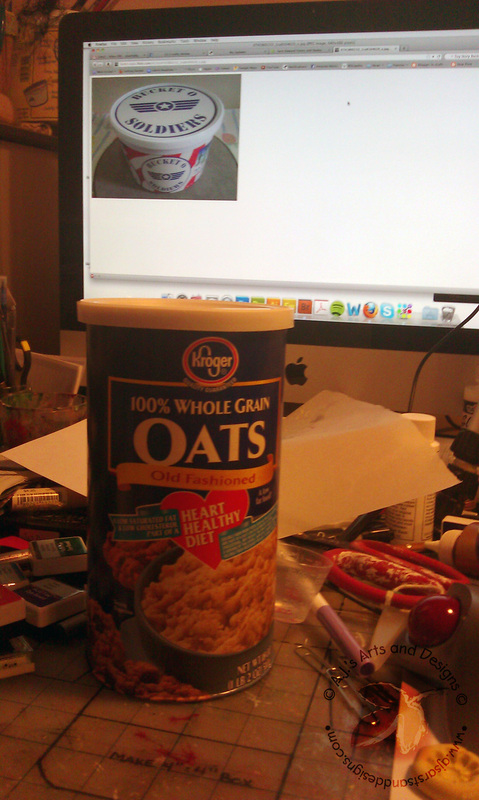 The empty Oatmeal Container with the inspiration in the background. 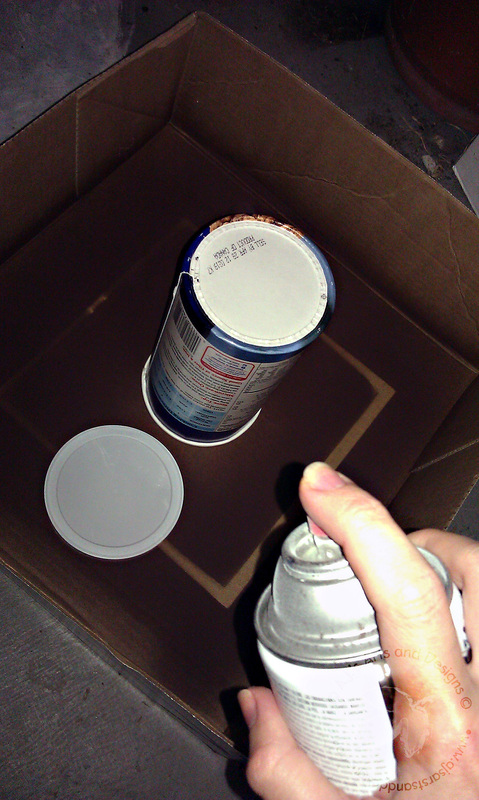 My Spray Box in the garage – getting ready to spray. 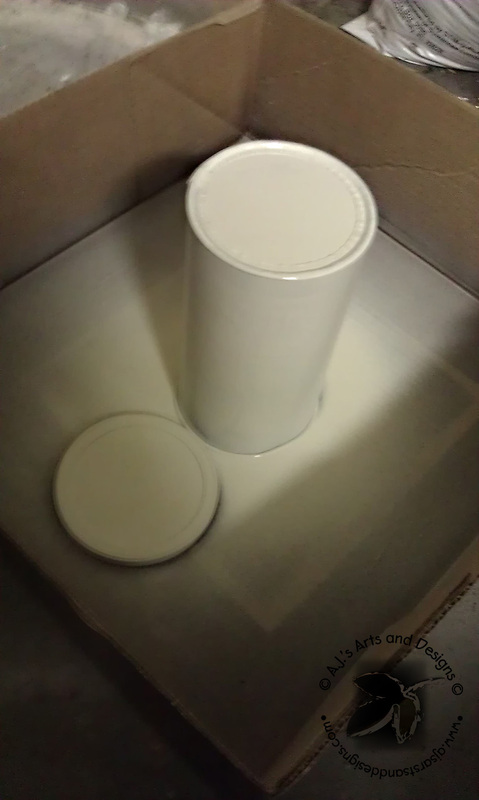 Completely primed drying in the Spray Box. I did a special Who Are You Calling Crafty? – LIVE – showing how I started the Oatmeal Bucket. I used Photoshop to create the font around the logo wings and traced it to the font onto the cover. I then traced the top logo onto white card stock and colored the side with a Bic® Mark it™ (my printer is broken so I did it the long way – you could easily print everything out and glue everything on). 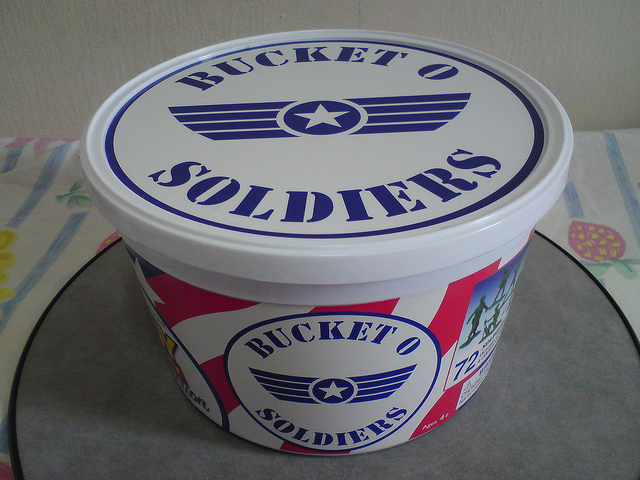 Photos of the finished bucket. 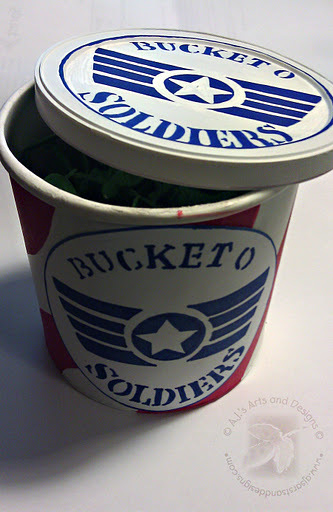 The soldiers in the bucket. 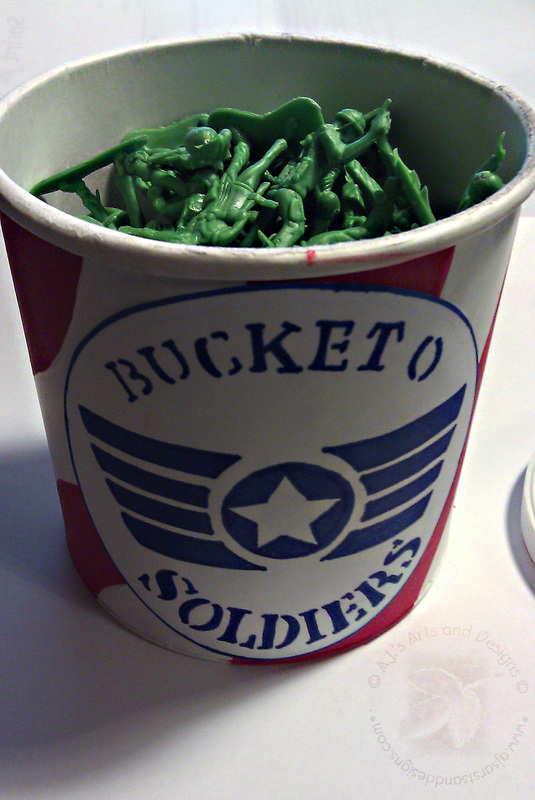 Another view of the bucket with the soldiers. The soldiers trying to escape. 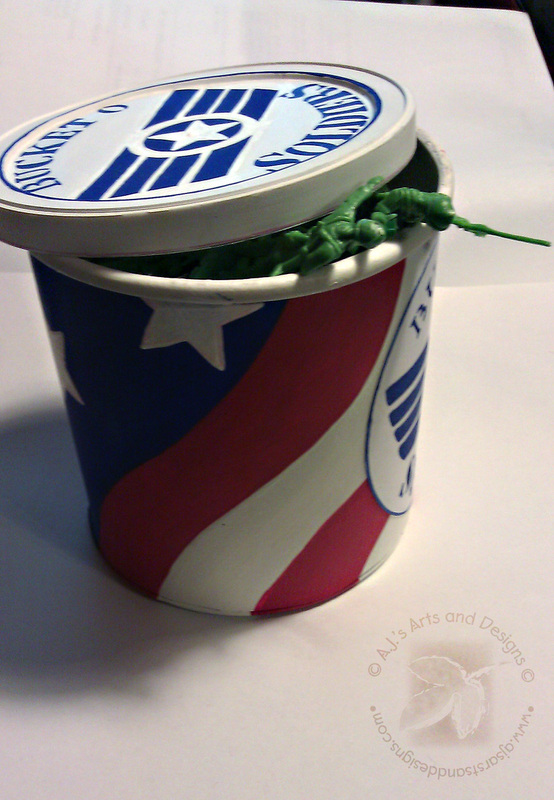 I hope this will help you think outside the box (or canister in this case) and reuse/recycle some old canisters.